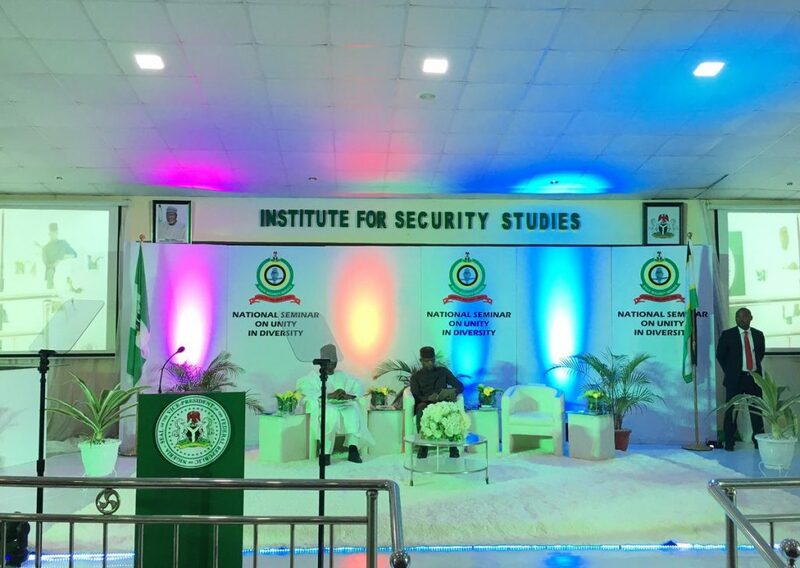 Acting President, Professor Osinbajo is currently speaking alongside former Head of State, Yakubu Gowon on the importance of ensuring unity in diversity. It's also a false narrative one group is more corrupt than the other. Not so. If you look at a corruption charge sheet, there is unity…. All great stuff. Nothing very new as far as Osinbajo’s messages go. He has been very consistent in his message of unity in diversity and the need to eschew disrespectful amd hateful talk. And that’s understandable considering how distracted and inattentive many Nigerians can be. You have to flog any important topic till its worn and thinned out if there’s any chance you want it to be properly understood by your audience. Relevant question, don’t you think? Well done Joe. We hope you read the tweets once again when you’ve got all that’s on your chest out. Creative mind. Enthusiast. Learner. Multipotentialite. And here, an assistant editor. [The Presidential Blog] Zahra Buhari is doing a live chat today | Is anyone interested?